His teen mother had no place to go when her parents found out she was pregnant. They simply couldn't believe it and they felt that their daughter (Lynda) would never be able to raise a child herself. Lynda knew in her heart that she could never, ever think of an abortion and she searched the Internet and found us and within a week was living at our shelter. Eight months after little Matthew was born, Lynda was invited to return home where both she and her son now live as she completes school and is surrounded by their loving family. This Website is devoted to applying our years of counseling pregnant women to give life to their preborn child. Since 1981, we have saved over 20,000 babies from abortion. Over 200 pregnant women call our National Hotline every month seeking our assistance. Through this website we hope to save many more innocent preborn babies. Several Sources Shelters provides extensive prolife counseling and information for pregnant women seeking an alternative to abortion, and ultimately we provide free shelter for expectant mothers and their children. It is the hope that women will not continue to conceive children that they have no intention of giving life to. Therefore, we rely not on our own words but on The Word of God to help us to help our mothers and babies. 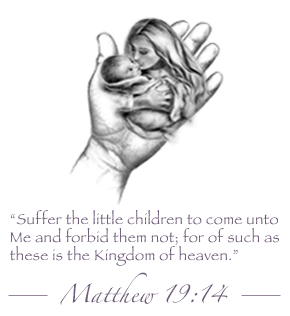 You may find someone who is interested in learning more about our efforts to save the innocent babies from abortion. If so then you can refer them to this website where, they too might choose to get involved. Teen or Adult, we seek to work together with you. Please Email us. We need your input and ideas from the very beginning in order to make this website effective in its mission to save the lives of the preborn and help their mothers. Please help us to help them. Unlike many prolife groups who offer only spiritual advice to mothers contemplating abortion, Several Sources Shelters offers spiritual help and also shelter. Many women have no place to stay for 7-8 months while their preborn child develops. Our shelter provides a practical alternative to abortion where mothers can stay up to one year after the baby is born. No fees or charges are asked for our services. This Website provides the pregnant women with National Hotlines, links to other Prolife websites, and a listing of shelters for pregnant women throughout the United States. Motherhood, Schools, and Skills Training. Practical aspects of dealing with the responsibilities of motherhood are explored and training is provided. Pre-natal child care, homemaking, G.E.D., and other classes are provided by the staff, volunteers and visiting nurse services. Mothers of school age attend High School and are tutored at home during the last weeks of pregnancy. Some mothers attend college. As many as six (6) mothers and babies can be sheltered at each of Several Sources houses. This includes one (1) house mother at each shelter. This provides a stable support system of caring, sharing women who work together to help each other. Discussion groups, prayer, Bible study, and Chastity Workshops are shared experiences for the mothers. Our mothers are urged to communicate problems and concerns. The families of our mothers are urged to visit and write to them. A separate family entrance is provided at each shelter to encourage parental and family visits.